Home › ThomasLloyd acquires significant stake in SolarArise India Projects Pvt Ltd.
London, Zurich, 9 October 2018. ThomasLloyd announced today that it has acquired a significant stake in the Delhi-based SolarArise India Projects Pvt Ltd (“SolarArise” or the “Company”). 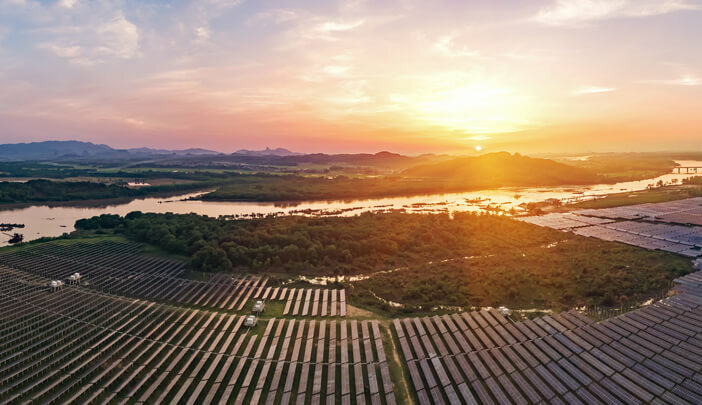 SolarArise currently owns and operates 130 MW of grid-connected solar power projects in India. ThomasLloyd’s investment is expected to support the Company’s expansion of its solar energy capacity by approximately 250 MW. These projects will be a combination of government and state sector projects as well as selected private sector projects, benefiting from long-term power purchase agreements. The co-founders being Tanya Singhal, Anil Nayar, and James Abraham, are experienced professionals, who have been pioneers in the Indian solar market since 2009. They helped shape the initial solar policies in India, expanded technical innovation in the industry, and pioneered the construction and finance of utility-scale solar plants. The existing portfolio reflects their strengths in technology, construction, and finance. James and Tanya previously worked for Boston Consulting Group where James was a senior partner and initial member of BCG India and Anil was formerly a senior partner at KPMG in both Canada and in India. The investment will be from ThomasLloyd Cleantech Infrastructure Holding GmbH, ThomasLloyd Cleantech Infrastructure Fund SICAV and ThomasLloyd SICAV-Sustainable Infrastructure Income Fund. This is ThomasLloyd’s first renewable energy investment in India, and beyond the current identified portfolio, ThomasLloyd has the scope to expand capacity in excess of 1GW of grid-connected solar for the fast-growing domestic Indian market.